Does your conservation organization have a citizen science program? 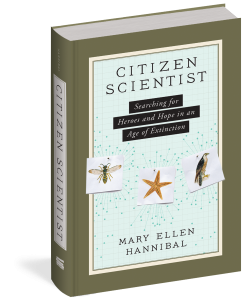 Mary Ellen Hannibal, author of Citizen Scientist: Searching for Heroes and Hope in an Age of Extinction, writes about the capacity-building benefits of citizen science programs in a recent blog post on her new website. 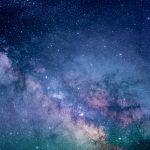 Whether you work for a federal agency or run a nonprofit program, in her book and on her blog Mary Ellen offers myriad reasons to tap into the energy and passion of science volunteers. At a time when we need to step up our game to protect the natural environment, the data gathered by citizen scientists can support public awareness by leveraging the power of data visualization. 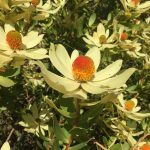 In her recent blog post Mary Ellen writes, “Right now, as individuals and in local communities, we can monitor and evaluate biodiversity, water, and air quality. 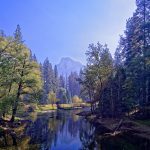 Those data can be used to visualize environmental impacts to help garner public support for legislative initiatives at the local and regional levels.” She also adds, “As a networking phenomenon, citizen science is poised to continue to grow—and to have impact—with or without federal support.” I encourage you to check out her blog. As someone who has been participating in citizen science for the past four years and environmental science writing for over 20 years, I was eager to read Citizen Scientist. I am a fan of Mary Ellen’s writing from one of her previous books, Spine of the Continent, and from her contributions to Bay Nature Magazine. I also know of her intellect and thought leadership as a speaker and panel moderator for important environmental topics. When I ran into her at a recent conference focused on wildlife corridors, hosted by the Bay Area Open Space Council, she was already thinking about new projects and connections. Throughout Citizen Scientist I admired Mary Ellen for her thorough research, action-oriented reporting from the field, and for her ability to reference and weave together years of insights and knowledge on environmental themes, literary history, and the individuals whose legacies have contributed to the growth of the field. Mary Ellen details numerous first-hand experiences while in the field as a citizen scientist herself — from the tidepools near Monterey, California, to the hawk migration corridor north of the Golden Gate Bridge, to the mosaic of watershed lands beneath Mt. Tamalpais in Marin County. She candidly shares her triumphs and her frustrations. 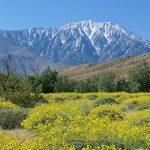 While she takes us along for these experiences she also reveals details that you might not have known about – from little known facts about Native Californian ecological practices to how climate change is affecting wildlife populations and their habitats. This is where her painstaking research and ability to connect with people in the field really shines through. 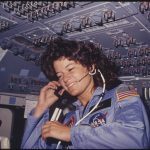 Citizen Scientist is also a great resource for origin stories — how organizations and projects came into existence and how people landed in their careers. Oftentimes, these histories are not well known. Citizen Scientist tells the origin stories of organizations like Island Conservation and California Academy of Sciences, of citizen science events like the widely successful “bioblitz” and the career trajectories of scientists who are leading citizen science projects like Rebecca Johnson at California Academy of Sciences. 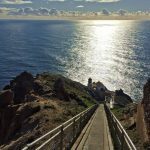 For anyone who wants to get involved with citizen science, there are plenty of ideas throughout the book — from one-day opportunities like the Audubon Christmas Bird Count to projects that require more training and a longer commitment like the Beach Watch program (Greater Farallones Association) and Hawkwatch program (Golden Gate Raptor Observatory) in the Bay Area. In Citizen Scientist, Mary Ellen also describes several smartphone apps and online tools that are helping projects and citizen scientists to track and crowdsource citizen science data including Whale Alert, Nature’s Notebook, eBird and iNaturalist. Several of these tools were developed by or in collaboration with nonprofit conservation organizations and educational institutions including Point Blue Conservation Science (Whale Alert), Cornell Lab of Ornithology and National Audubon Society (eBird) and California Academy of Sciences (iNaturalist). What is clear from the book and from my own experiences is that citizen science gives people of all ages the opportunity to have a meaningful way to participate in something that is positive and important for protecting biodiversity and the planet. Like the citizen scientists in the book, I have also gained a deeper appreciation and a “sense of place” for those landscapes that I visit regularly and study closely by gathering data and monitoring the changes in how plants and animals respond to the seasons each year. By integrating citizen science into their programs, conservation organizations can tap into the passion and energy of volunteers to engage them more deeply in nature and with their organizations while also helping an organization meet its goals and mission. Added bonus: Organizations that offer high quality opportunities for volunteers and achieve greater impact will also be in a much stronger position to gain corporate sponsorships and gifts and grants from individuals and private foundations. 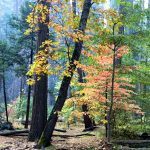 California Naturalist – A catalog of citizen science and other public participation in scientific research (PPSR) projects for UC California Naturalists and other citizen scientists. CitizenScience.org – CitizenScience.org aims to harness the knowledge gained by practitioners and researchers across the field of citizen science to build collaboration, community and credibility. CitizenScience.gov – A federal website (created during the Obama Administration under the leadership of Dr. John Holdren) offers a citizen science toolkit for federal agencies. If you can’t find this website in the coming weeks, there’s always the Internet Archive. 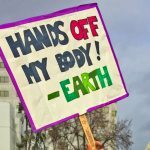 SciStarter – A database of citizen science projects across the country. iNaturalist – Online social network for sharing biodiversity information, a crowdsourced species identification system and an organism occurrence recording tool. 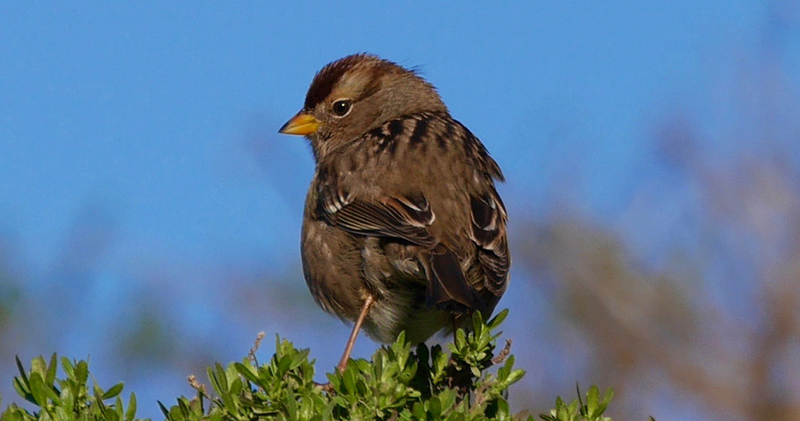 eBird – A real-time, online checklist program for birds by the Cornell Lab of Ornithology and National Audubon Society. Nature’s Notebook – Online tool for gathering information on plant and animal phenology across the U.S. to be used for decision-making on local, national and global scales.